Viaggio Apartments & Hotels opens its door to you for a relaxing getaway in a range of hotels with a modern design in which you will find an array of Suites, apartments, rooms all with modern hotel services, meeting rooms, restaurants, high-speed internet and co-working areas too. 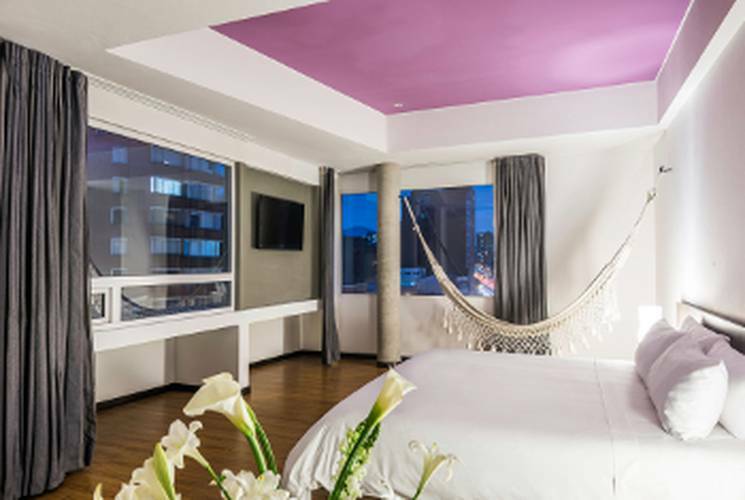 Located in many prestigious places within Bogotá, Cartagena/Mamonal and Medellín, Viaggio Apartments & Hotels boasts a wide variety of accommodation especially designed to provide comfort and enjoyment for corporate clients, couples, civil servants and those on an extended vacation. Enjoy the break that you deserve during your stay. Make your reservation at the best price online at the official website of Viaggio Apartments & Hotels. Find all the advantages of booking at our hotels, learn a little more about who we are and how in our hotels, your stay will be unforgettable. Our collection of hotels guarantees you the choice from an array of hotels and apartments in Bogotá, Cartagena/Mamonal and Medellín. Enjoy the very best offers on all of our Viaggio Apartments & Hotels accommodation at this page. If you wish to hold any corporate events, then Viaggio Apartments & Hotels is an excellent choice for a successful and professional experience. Choose the dates for your next vacation and select the package that is best suited to your travel requirements. A hotel in Bogotá designed to provide a feeling of total comfort. The Viaggio 61-7 hotel offers a highly comfortable stay for your vacation or business trip. Viaggio Centro Financiero, with its City Suites type rooms, is a new hotel located in a rationalist architectural conservation building. Viaggio Country can be found on Carrera 15, in a very commercial and entertainment district to the north of Bogotá, in close proximity of many shopping malls. Accommodation filled with home comforts. 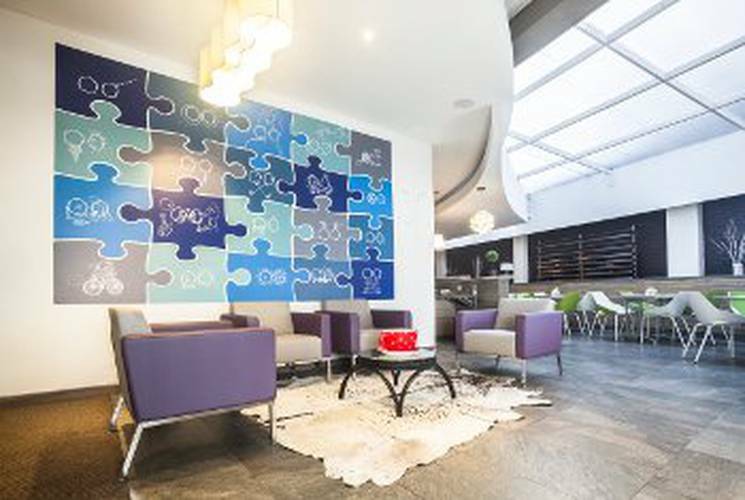 The Viaggio Nueve Trez hotel is the perfect choice for guests wanting to take a break near many of the fashion stores in Bogotá. A hotel with ten of the most perfect apartments for relaxing near the center of Bogotá. The Viaggio Parque 54 hotel can be found in the Chapinero Alto district. Viaggio Studios is an aparthotel with modern apartments and an exceptional location in Chapinero Alto, Bogotá. Viaggio Teleport stands out as one of Usaquén's (Bogota), most famous properties, located very close to the exclusive Teleport Business Center. Enjoy a stay filled with home comforts at the Viaggio Urbano hotel. A hotel near to the historical center of Bogotá. Viaggio Virrey, belongs to our City Apartments category. These modern apartments with hotel services are located in a modern 4-storey building located north of Bogotá. Enjoy exclusive accommodation during your stay in Medellín. 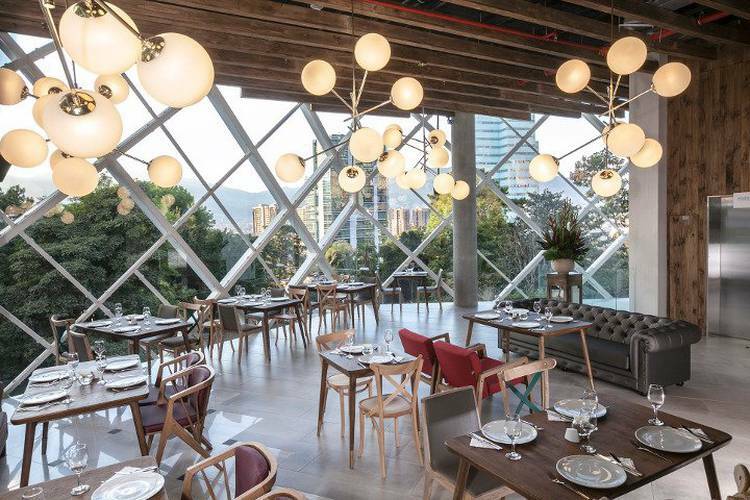 The Viaggio Medellín hotel has been designed for clients that seek perfection. The Viaggio Puerto de Cartagena hotel emerges as a welcoming and relaxing selection for business trip and family vacations.